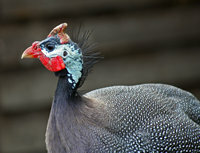 Guinea Fowl are versatile birds that can bring a lot of excitement and assistance to any farm or garden. As an alarm system they can’t be beat, setting up a racket that will scare away intruders – or unwelcome in-laws! Gardeners love these birds because they eat a variety of insects, making them worth their weight in expensive insecticide. And then, there are people who have fallen in love with their quirkiness and the easy of care associated with these gray birds with featherless heads. Keeping Guineas can be a lot of fun. Their characteristics include vain (they will spend a lot of time by a mirror or reflective glass door if you have one! ), noisy, funny, sweet, entertaining, shy, wary, alert, excellent at pest control, good ‘watchdogs’, flighty and wild! 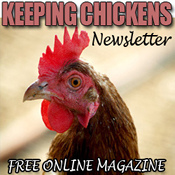 In Guinea Fowl : A Guide To Raising Guineas you will learn about the history and care of Guinea Fowl including specifics about hatching and raising keets, free-ranging, feeding and housing, co-existing with chickens and more! 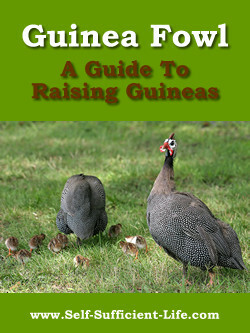 You will be able to download ‘Guinea Fowl : A Guide To Raising Guineas’ within just a few minutes. Click the above order button, enter your payment details, and it’s yours 🙂 This ebook is in Adobe’s PDF format so it can be viewed on any computer. 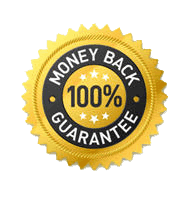 Then… simply send us an email, and your entire investment will be returned to you immediately.